Wright-Patterson Air Force Base (WPAFB) hosts the Wright-Patterson Medical Center (WPMC), which is the second largest medical center in the Air Force. The outpatient pediatric clinic located within WPMC has the second largest pediatric outpatient clinic in the Air Force. The Maternal-Child Care Center is where the normal newborn nursery rotation occurs. 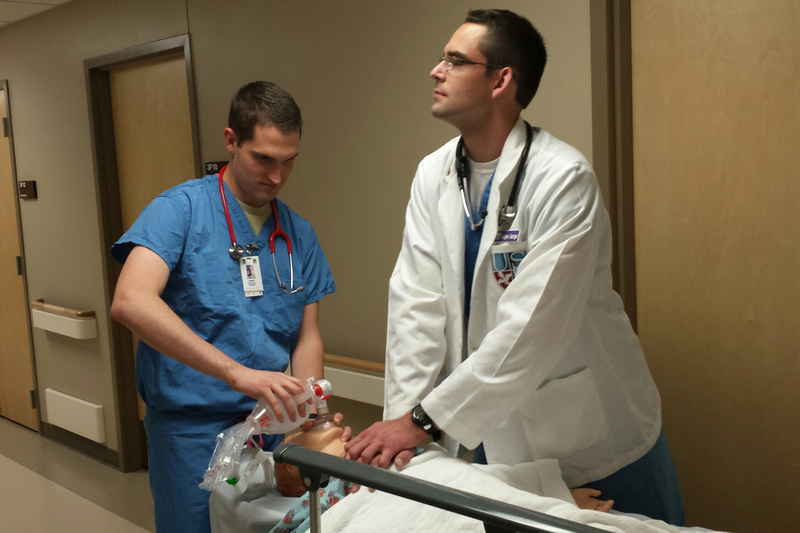 The base also has the Patient Simulation Center, which has state-of-the-art human patient simulators that offer the ability to practice PALS, NRP, intubation techniques, intraosseous access and chest tube placement, among other skills. 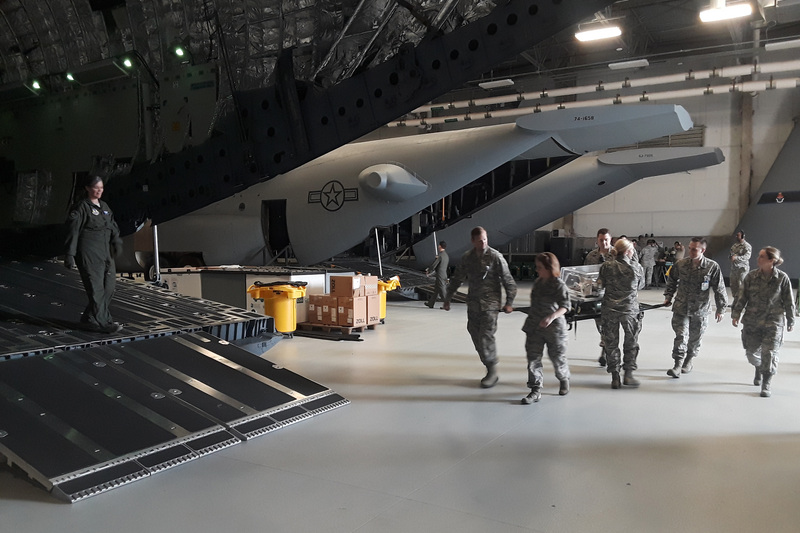 In addition to Wright-Patterson’s mission of training future healthcare providers, the base’s other missions include aerospace research and development and intelligence, and WPAFB is the primary location for Air Force One repairs. Dayton Children’s Hospital is located about four miles from the base. Having the opportunity to work there is truly a great selling point for our program. Dayton Children’s offers opportunities unmatched by other DoD-sponsored pediatric residency programs. This 155-bed, freestanding children’s hospital with a newly opened patient care tower in July 2017, is the only children’s hospital serving the greater Dayton area and the tertiary care center for 20 counties in Ohio and eastern Indiana. This, combined with the large number of subspecialists, gives our residents a great opportunity to see both large volume in standard pathology as well as many lesser seen diagnoses. These opportunities help our residents to become well rounded physicians. Below are statistics from the 2016-2017 fiscal year demonstrating the volume of available learning opportunities. 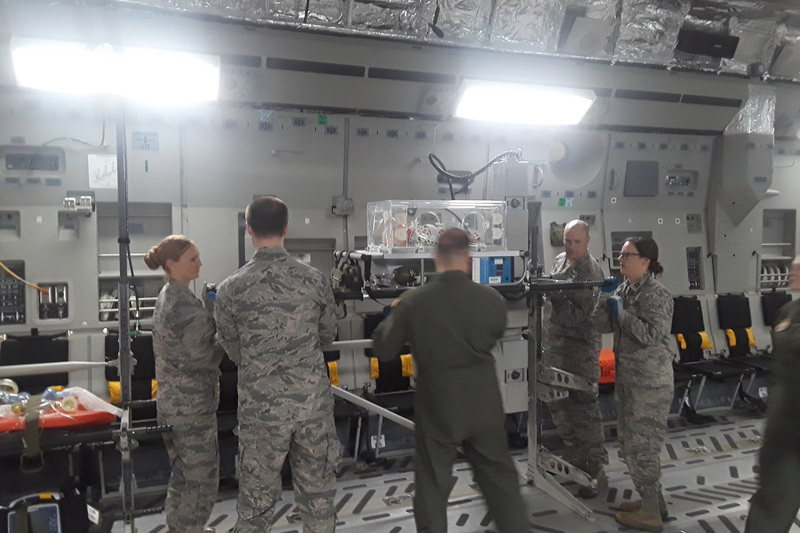 For residents interested in research, there are multiple attendings at both Wright-Paterson Air Force Base and Dayton Children’s who are actively involved in multiple research projects. At WPAFB, residents have been involved in research coordinated with the 711th Human Performance Wing. Residents also are involved regularly in a longitudinal quality improvement processes at the outpatient clinic at WPAFB. In addition to clinical research, we also have many faculty members who are involved with community advocacy and quality improvement projects for both the hospitals and various clinics, community and national interests. We thank you again for your interest in our residency program. If you have any questions, including how to arrange a rotation or active duty tour, or want to schedule an interview, please contact Rick Valone at Wright Patterson Air Force Base Pediatrics, (937) 522-4719 or richard.j.valone.civ@mail.mil.